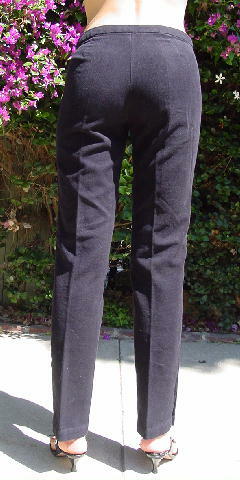 These black DKNY Jeans are 100% cotton and were made in Hong Kong. They have a 1 1/4" wide waistband with a hidden one hook closure and a front 5 1/4" zipper. They have nice, soft fabric.